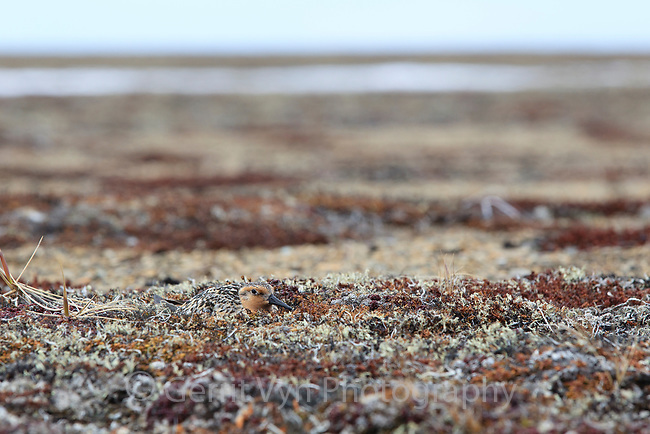 Red Knot (Calidris canutus rogersi) incubating nest on a coastal gravel spit. This subspeceis migrates to New Zealand and Australia for the winter months. Chukotka, Russia. June.